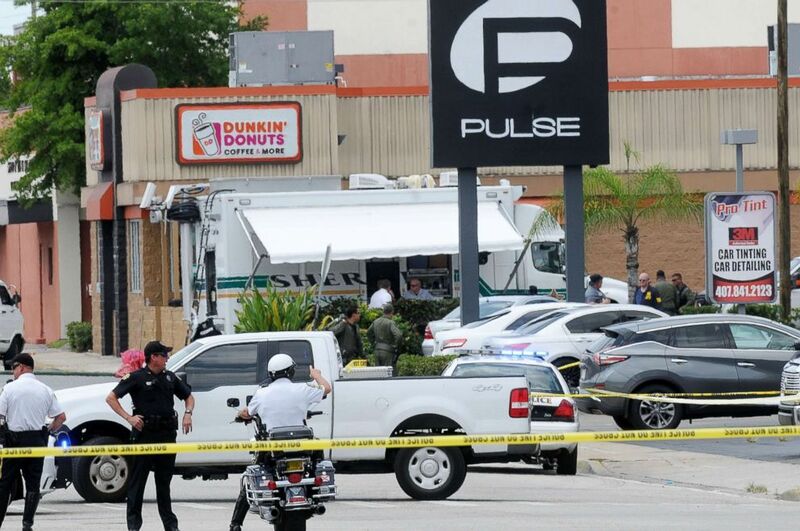 Add Pulse Shooting as an interest to stay up to date on the latest Pulse Shooting news, video, and analysis from ABC News. Salman, 31, shed tears during the airing of the video, which was shown publicly for the first time on Thursday. It followed equally disturbing cellphone audio from inside the Orlando, Florida, club’s bathroom during the attack, played for jurors on Wednesday afternoon. The audio included one recording in which the sound of rapid gunfire grew louder and louder as the killer approached, until the blasts crackled through the court speakers at ear-splitting levels. 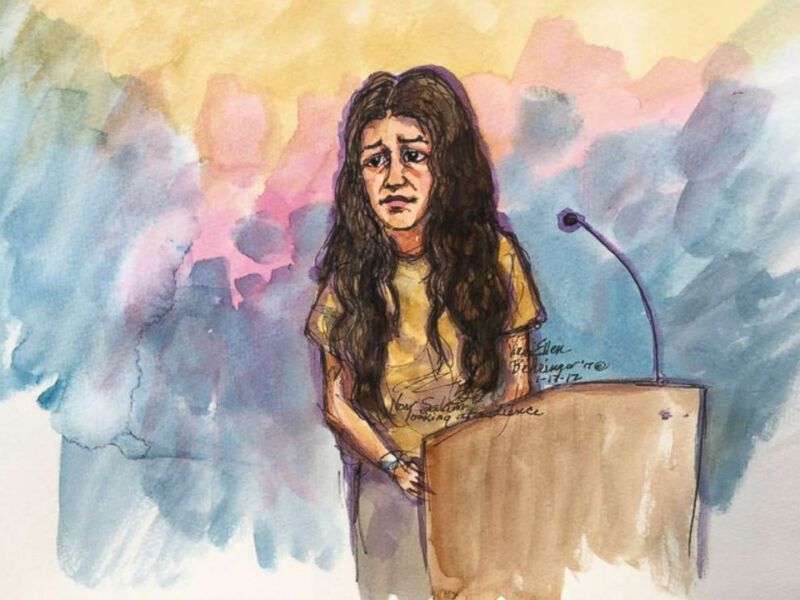 Gunman Omar Mateen's wife, Noor Salman, who was arrested by the FBI Monday in San Francisco, appeared in federal court on Jan. 17, 2017. Jurors also heard on Thursday from the head of an FBI evidence response team, who described entering the club in the early morning hours of June 12, 2016. "There were cellphones ringing,” said Tampa bureau FBI special agent Lynn Billings. “People were constantly calling cellphones that were scattered throughout the club." 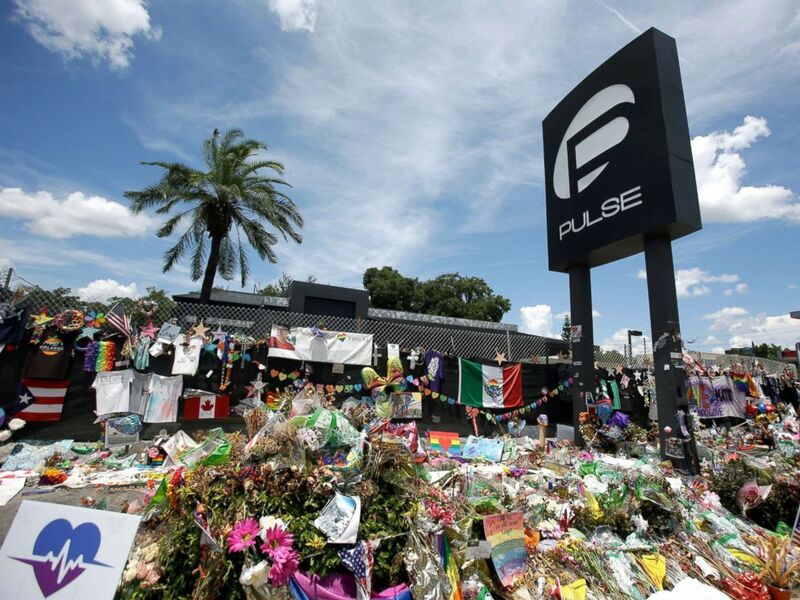 Orlando police officers seen outside of Pulse nightclub after a fatal shooting and hostage situation, June 12, 2016, in Orlando, Fla.
A makeshift memorial is seen outside the Pulse nightclub, a month after the mass shooting in Orlando, Fla., July 11, 2016. Salman, who has pleaded not guilty, is charged with providing material support to a foreign terrorist organization and obstruction of justice, and could face up to life in prison if convicted. The prosecution so far has focused almost exclusively on the attack and its aftermath. For most of Thursday’s testimony, first responders described cleaning blood off dead bodies and law enforcement officials shared the sights and sounds they heard when they first entered the nightclub after the attack. It wasn’t until the government’s fourteenth and fifteenth witnesses took the stand Thursday that the defendant even came into focus. Two investigators testified Thursday afternoon that Salman made some puzzling comments to them before they had told her the specifics of what had happened in Orlando. Former Fort Pierce police lieutenant William Hall testified about rushing to the home Salman shared with Mateen and their then 3-year old child at around 3:20 a.m., as the attack was unfolding two hours north in Orlando. “I told her something had happened in Orlando but that I didn’t know all the details,” Hall said. Salman told him that Mateen “was very careful with guns and he would never use one except to protect himself,” Hall said. “I thought that was strange that she mentioned a gun because I hadn’t brought up [the topic] of a gun,” he said. By 5:45 a.m., Miami bureau FBI investigator Christopher Mayo had arrived at the couple’s Fort Pierce home. Mayo, too, was taken by surprise after speaking to Salman. Before giving any details about an “incident” in Orlando, he asked Salman if her husband had any enemies.